Are those supercute new flats of yours killing your feet at the end of the day? They complement your wardrobe flawlessly, but it pains you to wear them all day long. 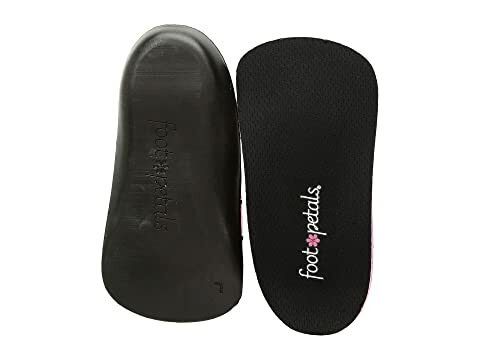 With these Foot Petals® Triple Play insoles, you'll no longer feel the need to take off your shoes as soon as you step in the door. Their cushioning system adds a little luxury to your favorite footwear without making them feel weighed down. Comfort and style in one amazing shoe? Yes, please! PORON® slow-recovery cushioning cradles and contours foot. Inserts feature a multidensity cushioning system that absorbs shock, stabilizes walk, and cradles feet. Sorbtek moisture management system keeps feet cool and dry. Microban antimicrobial technology is odor resistant, won't rub, wear, or wash away. Built-in heel cup stabilizes the foot and reduces shock at heel strike. Can be moved from shoe to shoe. 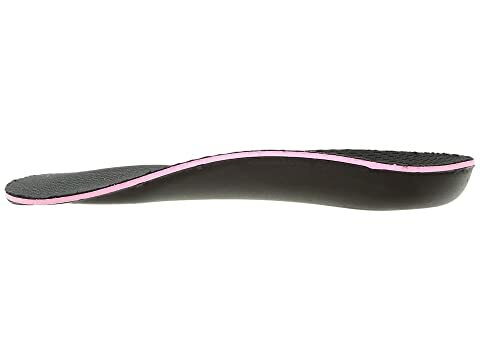 Perfect for flats, boots, clogs, and pumps. Gentle wash cold, no bleach, lay flat to dry.